Info below from Chris Wessels for the Hobie 16/20 NAC this November. 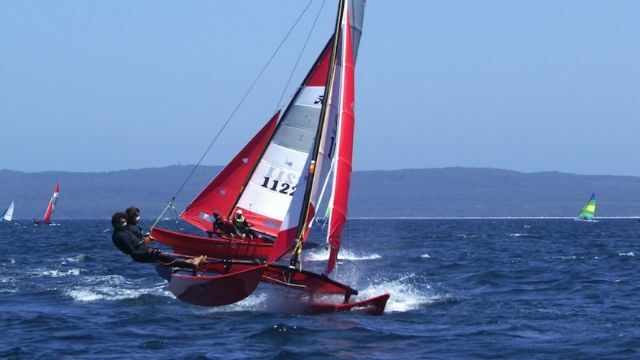 The Hobie 16/20 NAC is being headed up by a committee consisting of Chris Wessels, Bridget Q and Matt Bounds and they are making great progress in getting everything put together. If you or any of your people have ANY questions, please direct them to one of them. We are very excited about this week of sailing and hope you sailors are as well. Please forward this info to your 16 and 20 sailors (or all of them if you like) so that they can get the 40 hotel rooms rented that are reserved. The rates are SUPER LOW so follow the instructions provided and you’ll be all set. Register here for the event. On the left side of the page there is a RESERVATIONS box, at the bottom of that box it says Special Rates; click on that. On the next screen you will type in the dates you are planning to stay and enter your password in the Group Code box. Then click on Check Rates. This takes you to where you begin making your reservation. These pages all tell you how to proceed so you should be good to go. Jamie is our contact at the Ramada and she is awesome and VERY helpful. Thanks and see you in Nov.
~ by Floyd on July 22, 2011.